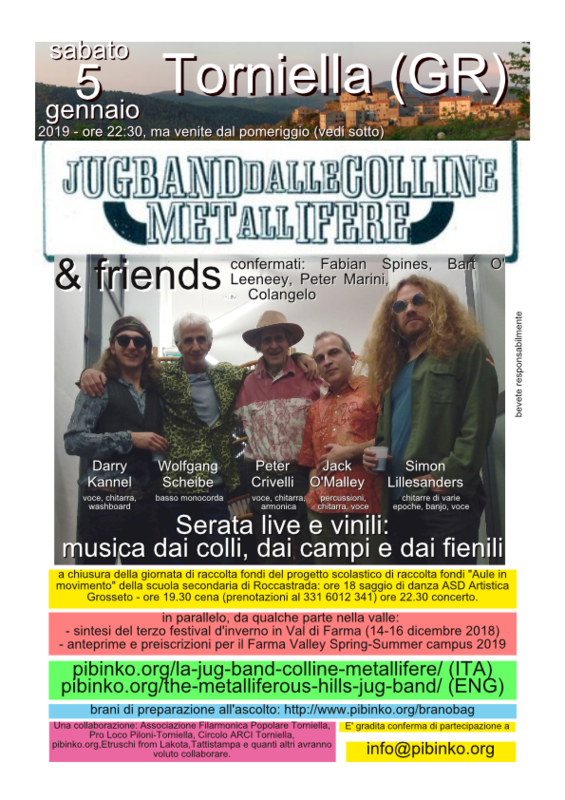 This title was reported by Alessandro S. from Padova, in response to an invitation I sent to several Italian mailing lists to meet in Milano for a geomusical jam session for the Metalliferous Hills Jub Band on Jan. 30.
this was eventually held with Lucio Monocrom, Willy e Colangelo. Original article by Ilenia Pistolesi (see source). Translation by Andrea Giacomelli. Please also see the pibinko.org blog post with the full presentation which inspired the article, or write to jugbandcm@pibinko.org for more information. Cecina Valley (Pisa), Jan. 23, 2019. Environment, land, and rural development. These are crucial topics, normally discussed in round tables by political think tanks, or as food for thought in conferences. Issues which make mayors suffer and environmental activists struggle. However, this time, we have music to blend high-level matters, with a thread of notes and melodies coming right from the heart of the Cecina Valley. We are talking about the “Metalliferous Hills Jug Band”. This is a collective born in March 2017 and named in September 2018, with its base of operationi in the land of the Tuscan geysers. 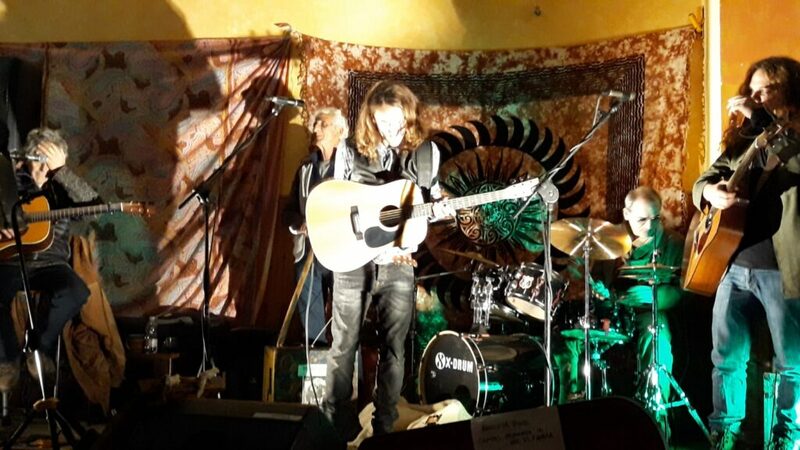 The band originated from the collaboration of two young rock blues musicians, with three albums on their resume, an independent researcher with 25 years of international experience, musically active since 1986, and a German who relocated to Southern Tuscany. 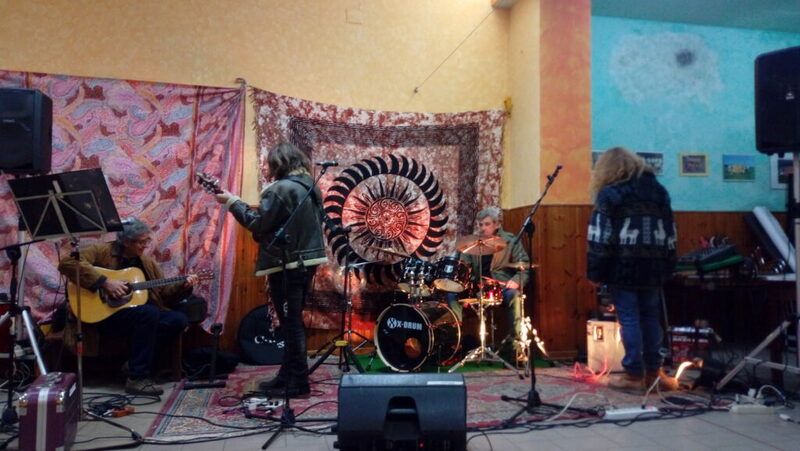 On stage, the power of musical instruments alternates with talks and insights on the environment, thus joining in a single event live sounds and vocals to outreach and awareness raising on such paramount topics. 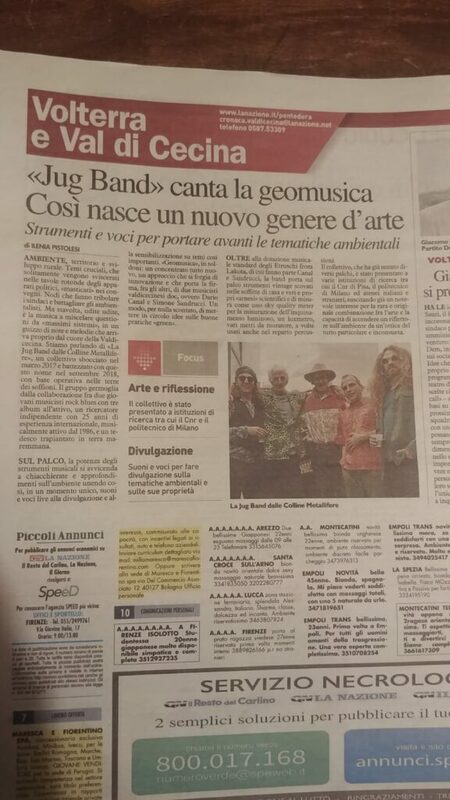 In a nutshell, they called this “Geomusic”: a brand new combination, an approach based on innovation, where two of the co-authors are original Cecina Valley musicians, i.e. Dario Canal and Simone Sandrucci. This is a far from obvious approach to circulate ideas on “green” best practices. In addition to the standard musical equipment by Etruschi from Lakota (Canal and Sandrucci’s main band), the collective brings on stage vintage instruments, found in their family attics, and actual scientific measurement instrumentation, such as a sky quality meter for light pollution monitoring, a lux meter, and various construction meters, occasionally used in the percussion section. The collective, which has already performend on various stages, has also been presented to multiple research institutions, including the Italian National Research Council, the Politecnico di Milano and other Italian and foreign universities, raising a genuine interest for the rare and original combination of of art and the capacity of shedding a light on the environment from a very peculiar and unusual viewpoint. We will then prepare an abridged version of the same text, as suggested by some reviewers. In any case, reading six pages (including a large-format photo, a summary and various headers) never hurt anybody, at least according to WHO reports. Thanks to those who provided comments to the draft (Fabio B, Marino M, Andrea d F, Elio A, Daniele S, Vittorio G). For more information on the project you may also write to jugbandcm@pibinko.org. 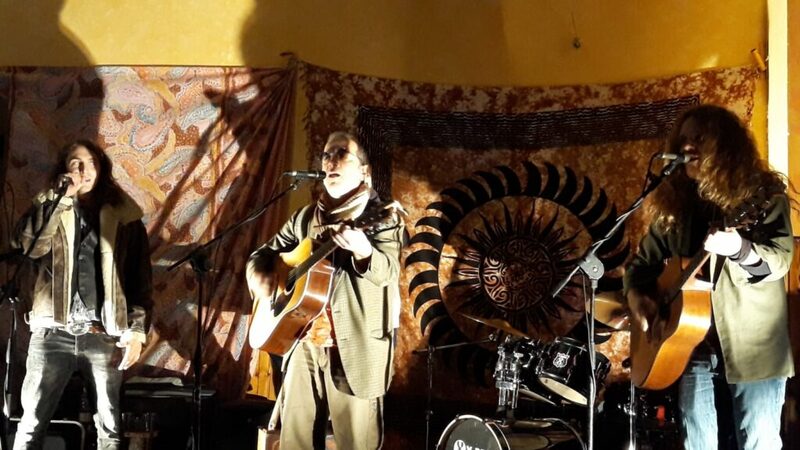 Peter Marini (guitars and vocals in “Noi non siamo figli” and “Sognando il Vaticano”, then transforming into Pyro DJ with his vynils for the after show. 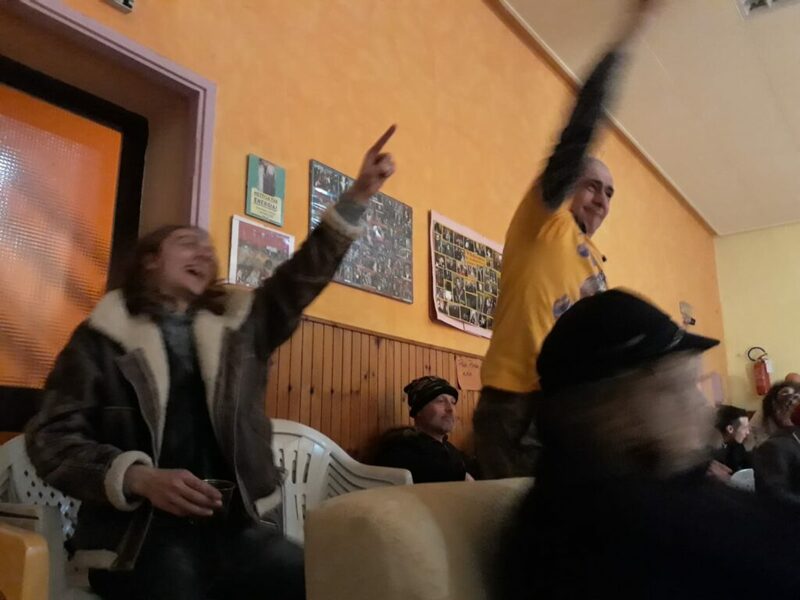 Audience response (probably during the “Voodo Chile” cover). Professors Crivelli, Kannel, Spines, and Lillesaunders during the setup of the classroom in Torniella (GR). 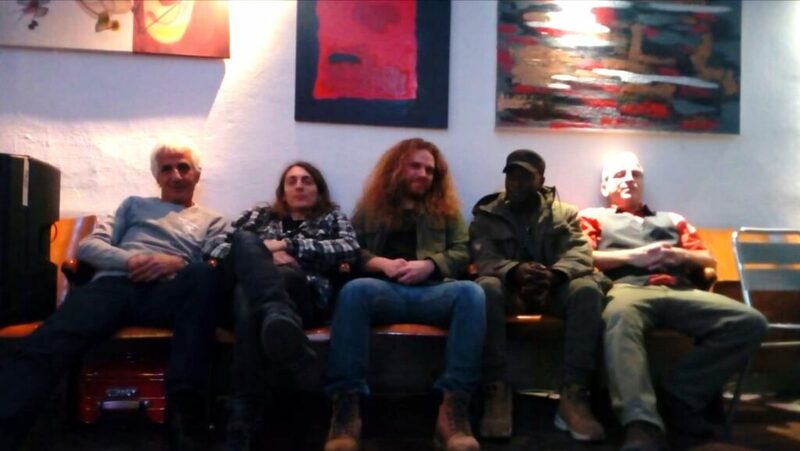 Wolfgang Scheibe, Dario Canal, Simone Sandrucci, Samba Governatore, Jack O’Malley – Photo by Eva Mariani.